Dongguan Smartmix Jewelry Co., Ltd.
Yiwu Huakuang Jewellery Co., Ltd.
We are located in Yiwu City, with convenient transportation access. Sample order Accept, New customers's samples cost be returned back after place order. Quality Control All the orders make according to approval samples. 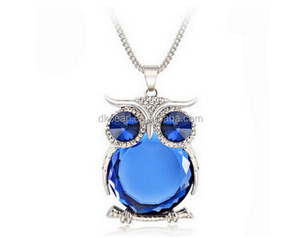 gift blue long chain owl necklaces for women This supplier supports Trade Assurance. 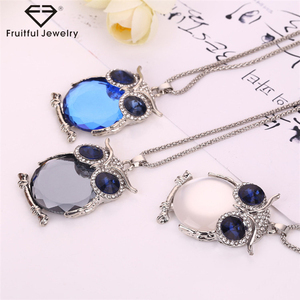 Follow the Trade Assurance process and get: &bull; On-time shipment and pre-shipment product quality safeguards &bull; Payment refund up to 100% of the Trade Assurance Order Amount 1. owl necklaces for women pictures 2. products description 1.Fashionable style ,healthy for girls 2.High quality 3.Reasonable price with good service 4.Exquisite style 5.High quality 6.More than 100 Sytles for your Choice 3.detailed item information item No. 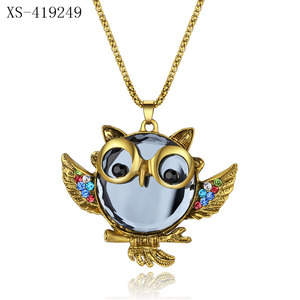 owl004 material: alloy decoration owl pendant weight about 46g style chain necklace service oem service sample offer sample sample time about 2-3days production time about 5-7days shipping ways by sea,by air,by express payment by L/C,by T/T,by western union,paypal account,by alibaba 4.other products for you reference 5.sample room picture 6.OEM service owl necklaces for women:welcome to contact us. Guangzhou Wkt Trade Co., Ltd. 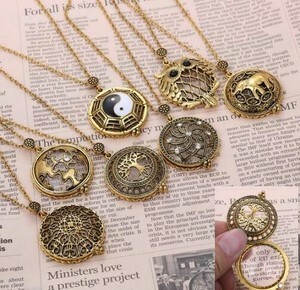 These are one of a kind pendants, if you care of its raw and natural, pls consider to buy. 3. fashion rings made by stainless steel & tungsten with silver or gold inlay, diamond sets. Meanwhile, we are making great efforts to build us as a leader in the jewelry industry. We will manage a full range of guidance systems in order to create win-win results. 2.Our company have the professional production capacity and be own ourself factory. 2.Your Model:Wholesale Price and Model Cost not including express cost. 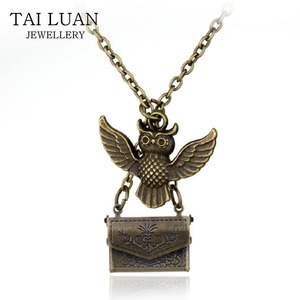 Shenzhen Furuini Jewelry Co., Ltd. If you are interested in any of our products or would like to place the order, please feel free to contact us. We are looking forward to forming successful business relationships with our clients around the world in the near future. The mission statement of our company is providing quality and newly products which enable our customer to be successful in the market! 11.We can produce any jewel according to your sample,dra wing or picture. Our some products have been tested and passed RoHS. 4.How can I know my products are really get ready9 Its good question. If you want to mix colors for the order, please contact us, we will send the exact colors as you wish. How can I place an order9 A : For the products in wholesale market, you can directly place an order on our shop in Alibaba web . We are happy to receive your queries,please do not hesitate to contact us if you need any help . We have exported our products to American, the Middle East and European countries. And then send you a inspect report to you to make sure the order is according to your requirement. A. 4.Customer can appointed a QC or third part QC institution who can take a random inspection before loading. 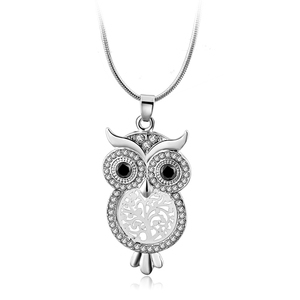 Yiwu Canrui Jewelry Co., Ltd.
84Cm Long Punk Jewellery Designs 2017 Vintage Owl Leather Necklaces Product parameters Name Leather pendant necklace Color Picture Style fashion Material alloy Size 2.5*3.4CM Gender Unisex Weight 11.5g MQQ 1pcs Related Products Our Company About Us. ltd Website&#65306; WhatsApp&#65306; +86-15779999417 Address&#65306; 57-6-203, Duyuan Village, Houzhai Street, Yiwu, Zhejiang, China (Mainland) Package Shipping Could we do our own design 9 Yes, any customized design are accepted here , just please show me your deisgn or your logo , and then, we will make the sample as per your idea . 2) Stocks Order : 100% payment in advance . Yiwu Hainon E-Commerce Co., Ltd.
Yiwu Fengfeng Trading Company Ltd.
Alibaba.com offers 3,866 owl necklace products. About 65% of these are necklaces, 36% are zinc alloy jewelry, and 12% are silver jewelry. 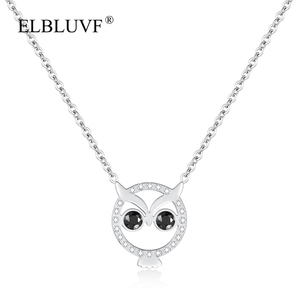 A wide variety of owl necklace options are available to you, such as anniversary, engagement, and gift. You can also choose from children's, women's, and unisex. 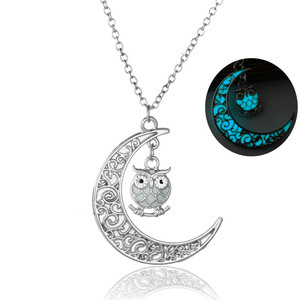 As well as from jade, crystal, rhinestone, and zircon. 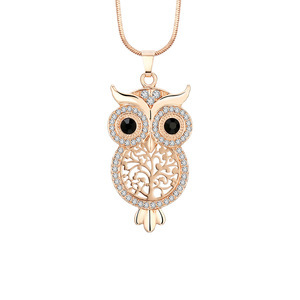 And whether owl necklace is necklaces, bracelets, bangles, or pendants or charms. 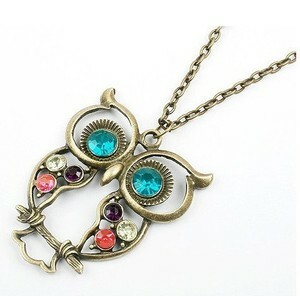 There are 3,863 owl necklace suppliers, mainly located in Asia. 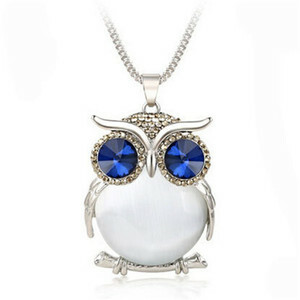 The top supplying countries are China (Mainland), India, and Turkey, which supply 97%, 1%, and 1% of owl necklace respectively. 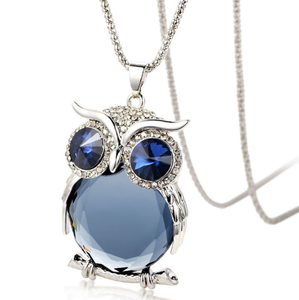 Owl necklace products are most popular in North America, Western Europe, and South America. You can ensure product safety by selecting from certified suppliers, including 182 with Other, 90 with ISO9001, and 48 with BSCI certification.